An unlikely World War II romance is the subject of this ambitious first novel from the Welsh-Malaysian author of the story collections The Ugliest House in the World (1997) and Unequal Love (2000). Following a prologue, in which British army officer Rotheram (son of a German Jewish war-hero-turned-pacifist) is assigned to interrogate captured Nazi officer Rudolf Hess, the scene shifts to a farming village in mountainous northern Wales. 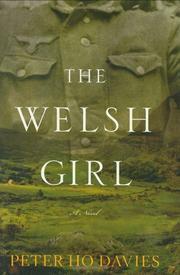 Davies gradually connects the shadow of the war to the experiences of teenaged barmaid Esther Evans, whose sheepherder father loudly proclaims his countrymen’s ingrained distrust of all things English (including the war effort). Another narrative pattern emerges in the ordeal of Karsten Simmering, imprisoned in the POW camp the English army has built not far from the Evans farm, and guilt-ridden over his decision to persuade the soldiers under his command to surrender. Karsten’s agonies of conscience are juxtaposed with the progress of Esther’s maturing (she’s raped by her boyfriend, a soldier in the British army, and shares the sufferings of the family who have lost their son Rhys—the decent man Esther might have married). The plots coalesce as Karsten escapes, hides in the Evans’s barn and draws closer to Esther—with consequences that will compromise his “freedom” and alter her future. The story comes full circle as the completion of Rotheram’s mission ironically confirms the likelihood that he, like so many others maimed and transformed by the war, belongs nowhere, and has no identity. The book is overlong and explains too much, but succeeds admirably in its presentation of engaging major characters, each of whom is given a complex and intriguing personal and family history. The result is a rich, moving explication of the ambiguities of duty and sacrifice, courage and perseverance. Not quite The English Patient, but a credible dramatization of a quality too seldom encountered in contemporary fiction: nobility.